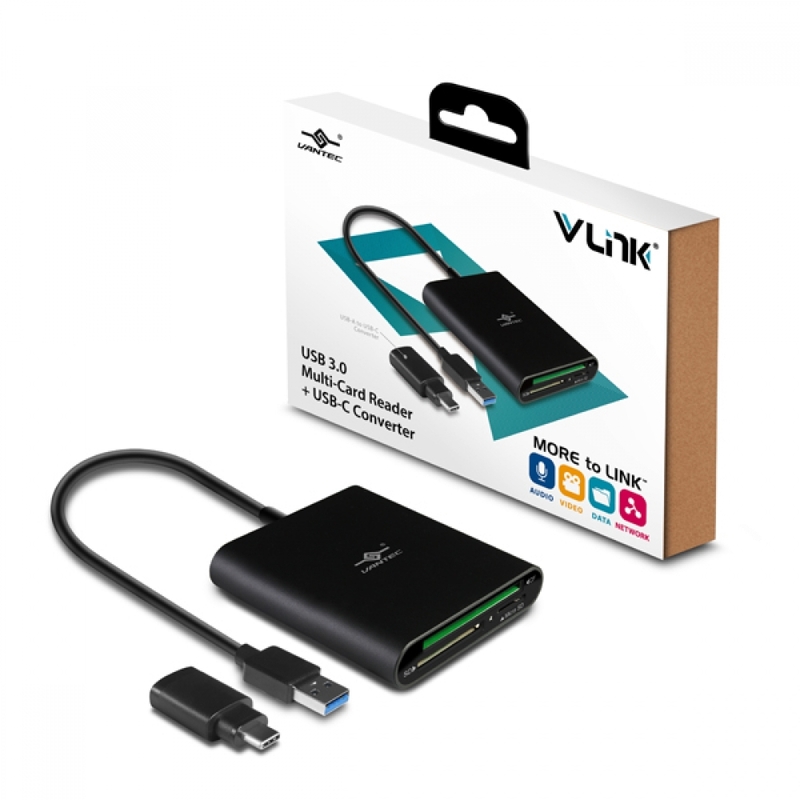 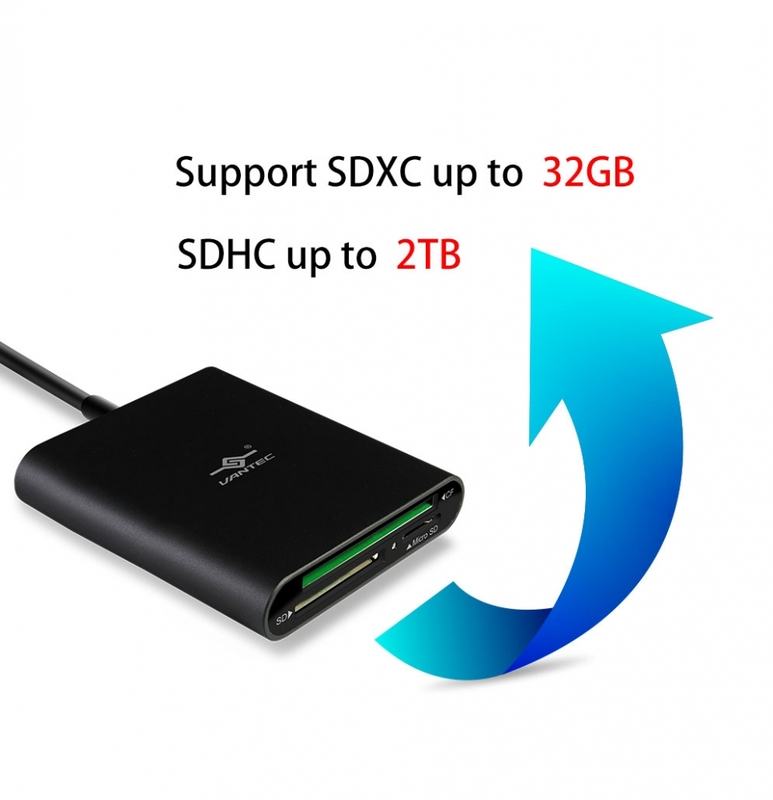 The VLink SuperSpeed USB 3.0 Multi-slot card reader is a simple design for many of the latest memory card. 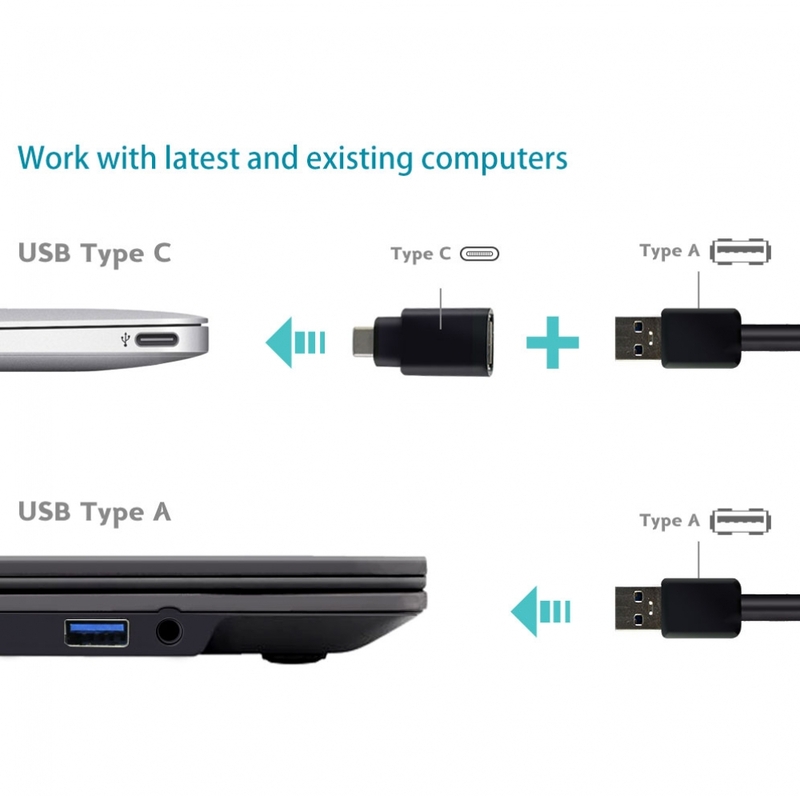 It comes with USB Type-A for compatibility and a Type-A to Type-C converter for your latest USB-C laptop. 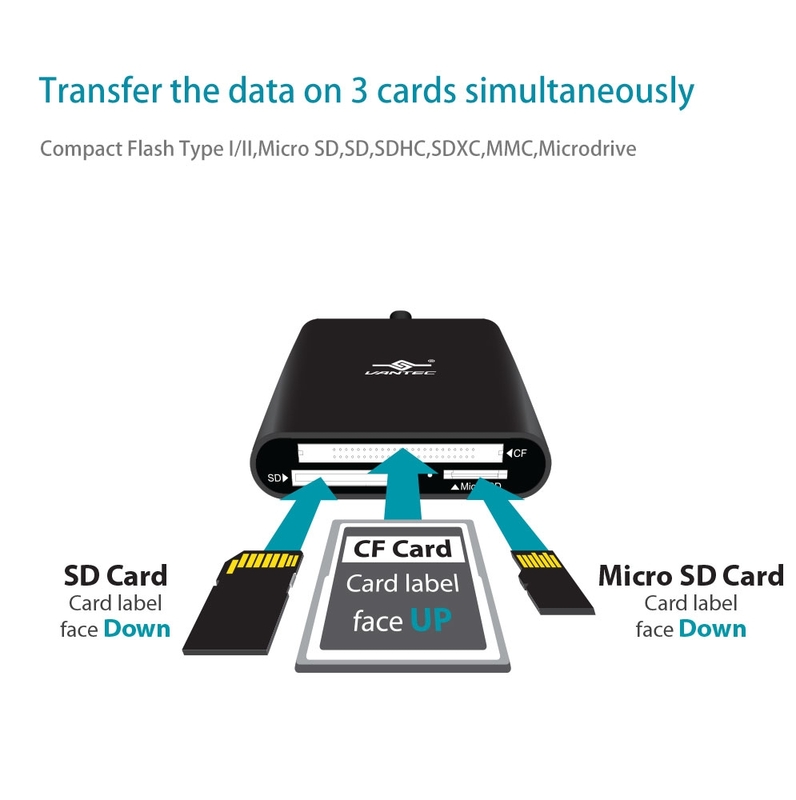 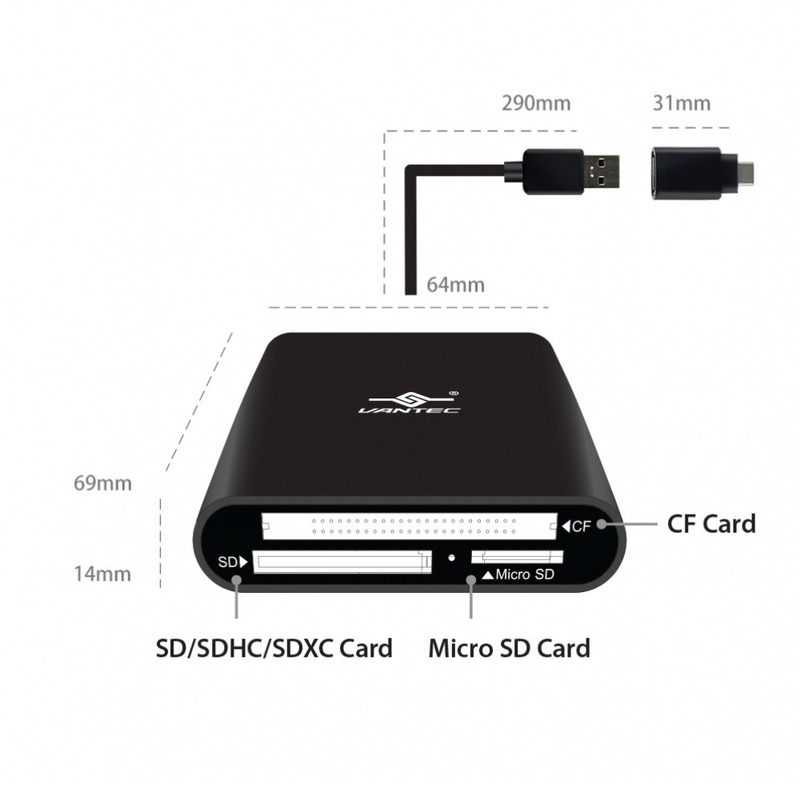 This card reader easily backup, transfer, copy files from your Compact Flash Type I/II, Micro SD, SD, SDHC, SDXC, MMC, Microdrive memory cards to your computer. 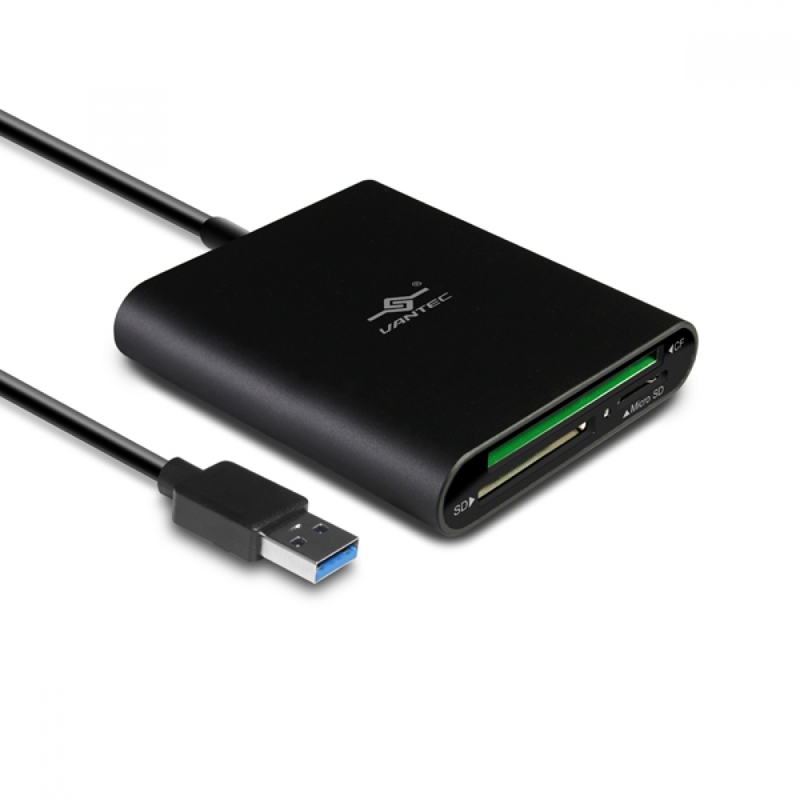 This Multi-slot reader Integrated with the latest USB 3.0 technology is Plug & Play; no drivers are required which makes it easy to use with ease. 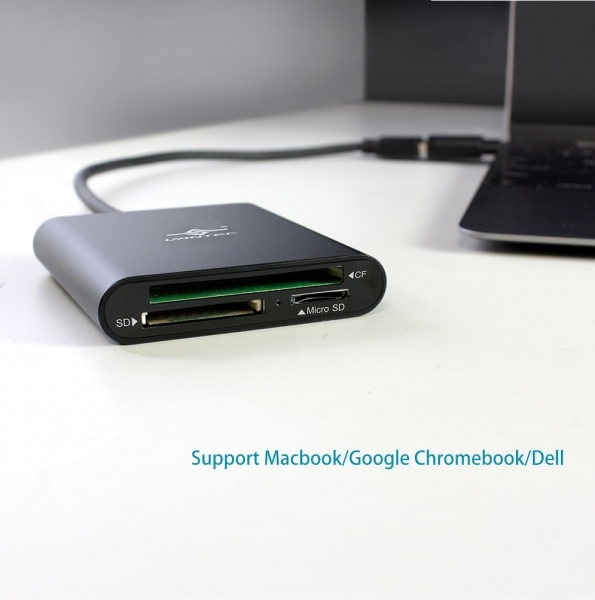 Whether you are transferring or copying files to or from a memory card, the Vantec USB 3.0 Multi-slot card reader makes it simple.